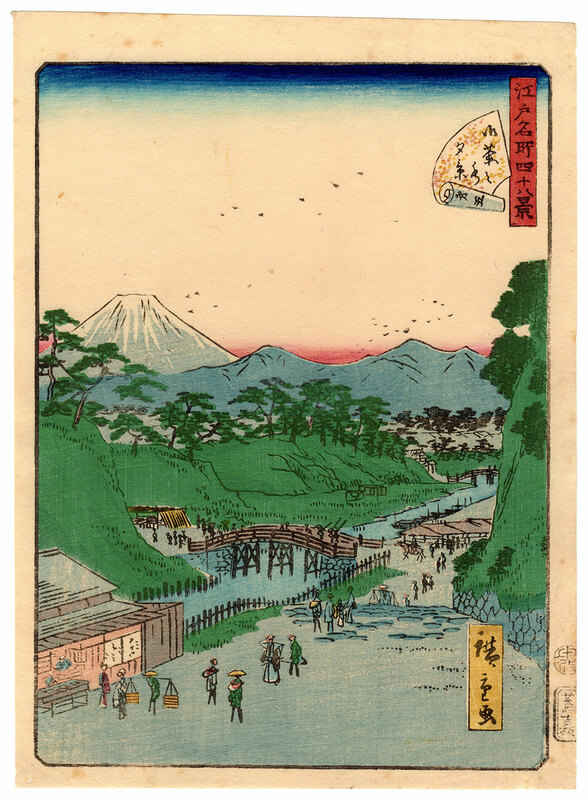 Beautiful original woodblock print made by the artist Utagawa Hiroshige II (二代目歌川広重), entitled "Evening View of Ochanomizu" (御茶乃水夕景) and depicting the daily life on the banks of the Kanda River (神田川). 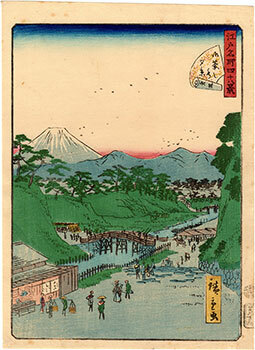 In the background of the famous neighborhood in Tokyo, Mount Fuji (富士山) stands out, framed by trees, by the colors of the sunset and by some flocks of birds. 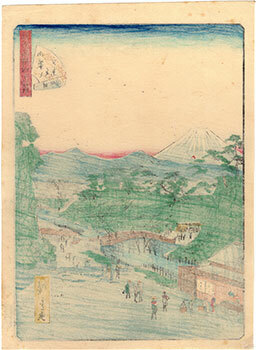 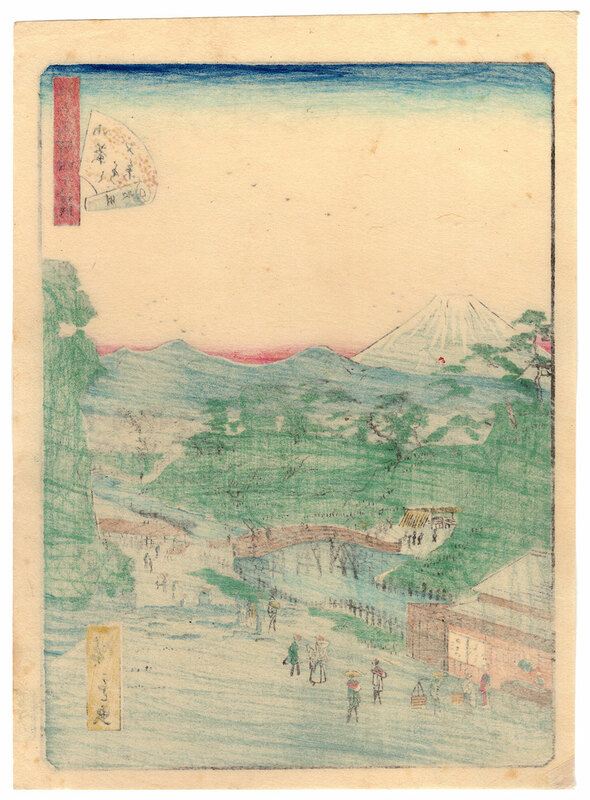 The print on Japanese washi paper (和紙), despite the right signs of aging and a small restoration in the lower left corner, is in very good general condition.